Maps are a centuries-old cultural asset helping us orient ourselves in our world. The Internet didn't change this paradigm except to increase considerably the number of generated and viewed maps. But the reputation of Internet maps isn't good. The use of inadequate graphical formats and disadvantageous re-uses are the main reasons for this notoriousity. 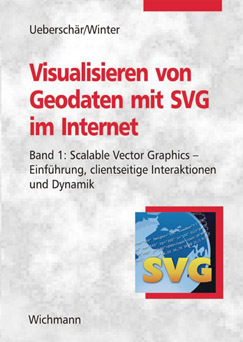 SVG (Scalable Vector Graphics) offers an opportunity to publish geographic information in an XML-based vector format standard. That way it is possible for maps to be spread to a wider public while still preserving high graphical quality. There is a growing interest in SVG among browser implementors and authors, spurred on by the upsurge in Web2.0, AJAX, and WebApps, which SVG excels in. This book doesn't just re-work the SVG specification; on the contrary, it highlights many possible fields of SVG's application for maps and business graphics. Starting with basic examples, core ideas of declarative animation and script-based interaction are communicated, primarily in the context of cartographic use cases. As the book progresses, the basic map from the first chapter is expanded and enhanced by sophisticated map navigation tools and data displays. Each chapter addresses a specific question of the map and interface production process. 230 step-by-step sample files are linked to the chapters, and are available online at the companion website http://svg.carto.net/book/. The book addresses Internet experts and programmers, as well as users, students and scientists in the fields of cartography, geodesy, geoinformatics, and other geosciences. Being a complete reference to the range of SVG's wide range of applicability, it is also suitable for those interested in SVG and eager to learn via real-world use cases. 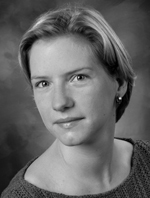 Nicole Ueberschär is a cartographer at the University of Applied Sciences in Berlin. 2001 She created an SVG-based mortality Atlas of Berlin. Since then she works as teacher in the fields of Internet cartography, thematic mapping and geoinformation systems. Since 2002 she leads SVG workshops and offers attendance in the fields of image editing, web design and software training at her office Map and Media Design. 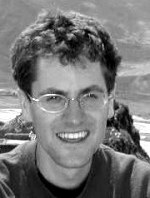 André M. Winter is a cartographer and user interface specialist for heterogeneous data who got his degree from Vienna University in 2001. There he created the first prototype of an SVG-Atlas in the middle of 2000. After one year in the multimedia and CD production branch at Freytag & Berndt, the leading map publisher in Austria, he again returned to SVG. 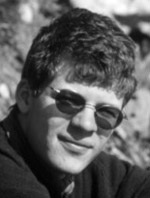 2002-2004 he was member of the editorial staff of the "Tirol Atlas" and worked in the fields of application and interface programming, layout and content structure. André teaches SVG based web mapping in Innsbruck and at the University of Applied Sciences of Berlin and held several talks at international mapping and internet conferences. Together with Andreas Neumann he also founded www.carto.net, a website dedicated to showcase SVG mapping applications and serves as a platform for Cartography and GIS students to publish their student and diploma works. He is consultant in the fields of tourism, multimedia cartography, SVG and regional organized web content. Andreas Neumann is cartographer and lecturer at the Swiss Federal Institute of Technology Zurich. He teaches SVG at the Institute of Cartography and organized the first SVG Open conference in 2002. He is the leading voice of mapping people at the W3C.